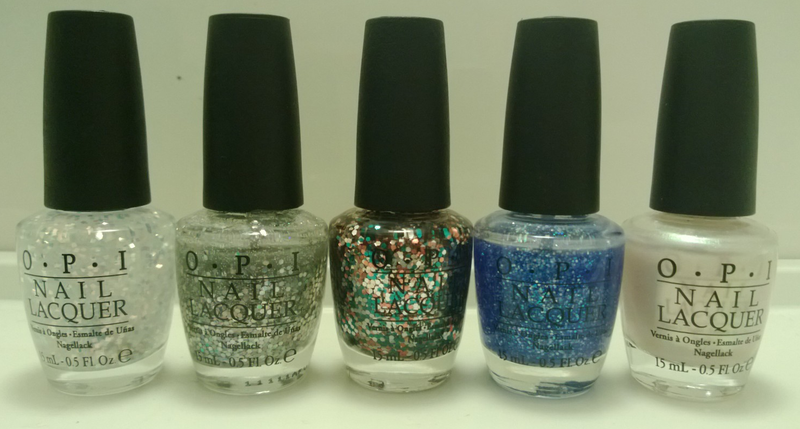 The Mermaid Life: MY OPI COLLECTION - WHAT DO YOU WANT SWATCHED NEXT? MY OPI COLLECTION - WHAT DO YOU WANT SWATCHED NEXT? 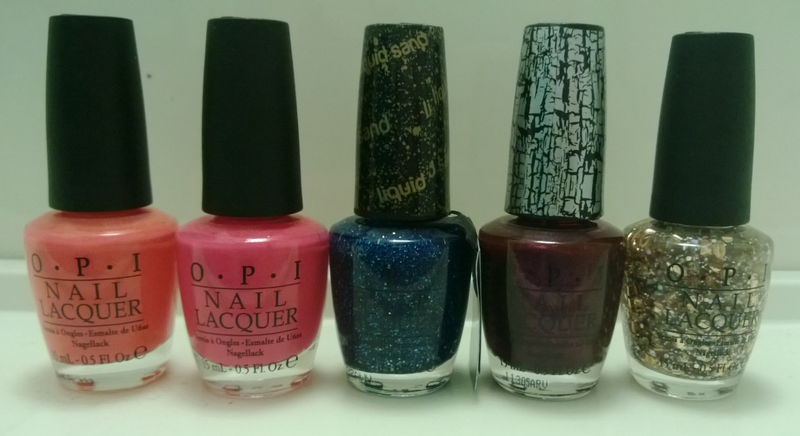 I love OPI and been a fan for almost a year now. Bought my first OPI on the 11th of April 2012. My birthday! A year on and I've collected 30 polishes, all in a wide variety. Metallics, shimmers, glitters, naturals brights and pastels. Below is my collection and I want to know what ones you want swatched next. 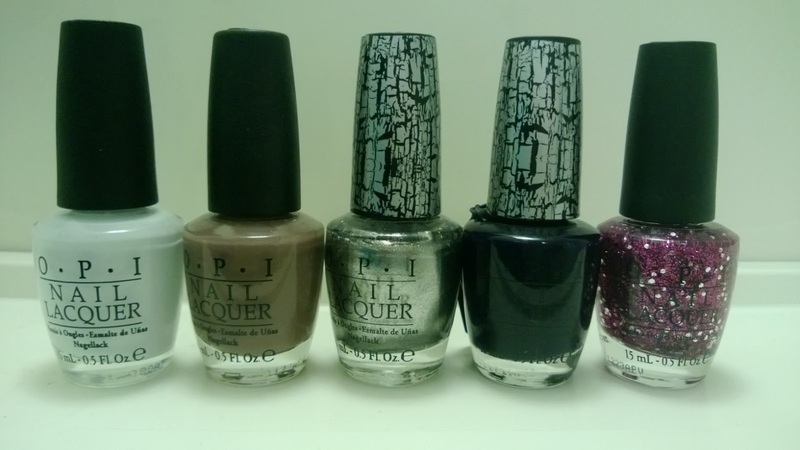 In the Easter half term, starting from the 30th of March I will be doing 12 days of OPI, where each day I will post a swatch/look on the OPI chosen. 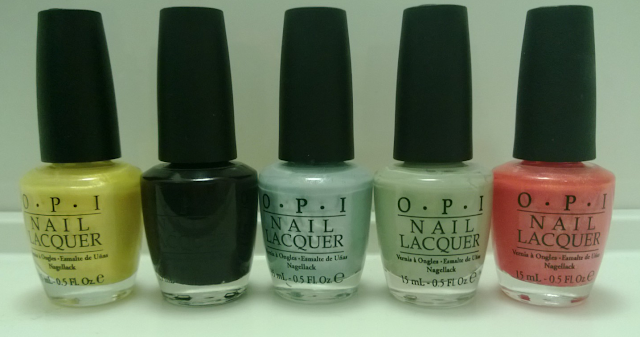 Let me know which OPI in the comments below that you want to be featured! I will also have my SLR so the pictures will be the best quality they can be. Who The Shrek Are You?, Gold Shatter, Mermaid Tears (Used in my Glitter Gradient nails here), Dating A Royal (Briefly used in this post here), Simmer And Shimmer. My Boyfriend Scales Walls, Over The Taupe, Silver Shatter, Navy Shatter, Divine Swine. Lemonade Stand By My Man, Lincoln Park After Dark, I Vant To Be A-Lone Star, Stranger Tides, Bright Lights Big Colour (This is shimmery compared to Hot & Spicy, they're not the same!). Hot & Spicy, Strawberry Margarita, Get Your Number Liquid Sand, Super Base Shatter, When Monkeys Fly!. Lights Of Emerald City, Servin' Up Sparkle (Used in the Glitter Gradient nails here and in another blog post here), The Living Daylights (Used in a blog post here), Last Friday Night (Used in this post here), Pearl Of Wisdom. On Her Majesty's Secret Service (Swatched already here), Fly (Briefly used here), Happy Anniversary, Meep-Meep-Meep, Grape...Set...Match (Swatched already here). There's my 30 piece collection! cannot wait to use them! have only just come out. 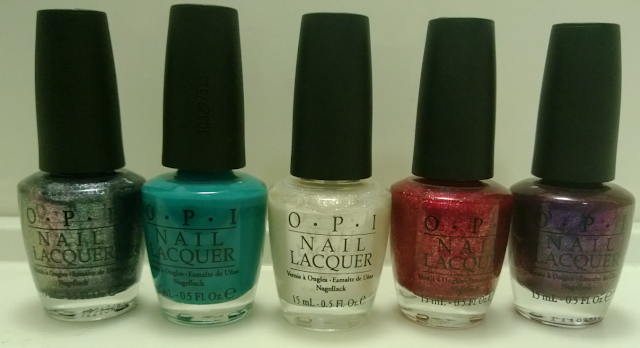 Please let me know what you want swatched for 12 days of OPI! u have a fab opi collection... i haven't bought any opi in SOOO long! this post makes me want to dig my old ones out! 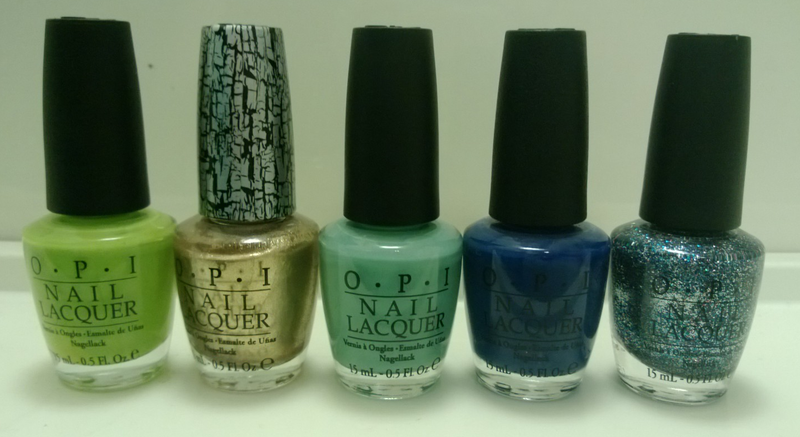 I'd love to see swatches of the polishes from the Oz collection!